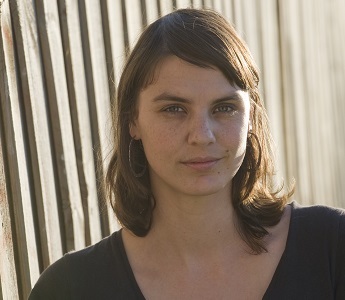 Environmental journalist and author Anna Krien caught up with us to chat about her life as a writer and the importance of environmental writing before her upcoming workshop at the Moonah Arts Centre on the 20th of August. When you think back on your childhood, what are some of the places that stand out in your mind? I grew up in Melbourne, in the suburb of Saint Kilda. It was an interesting place to grow up. There was an asylum down at the end of our street. There were street walkers and people struggling to get by. I was surrounded by curiosities and inequalities, stories that I couldn’t explain. I suppose I grew up during the gentrifying process. Saint Kilda is now quite a trendy area. But I don’t think growing up in a rougher suburb influenced my interest in writing. I think I would have ended up a writer regardless of where I grew up. Did you go on many family bushwalks as a child? No, but I was lucky in that my family went to beach every summer. I spent hours amongst the sand dunes and the tea trees with my siblings during a time when environmental consciousness was much lower. Was there a particular story you covered early in your career that solidified your decision to stay in this profession? I’ve always been interested in writing and stories but I decided I wanted to to be involved with people. I initially began working for newspaper companies, but I realised early that fast news wasn’t for me. Slow news that required careful investigative journalism however captured my interest. I think what keeps me involved in this profession more than any story I’ve covered is the idea that, at its heart, journalism is about giving a voice to the voiceless. Journalism is about feeling comfortable amongst uncomfortable subjects, and writing about them in a way that makes it impossible for people to shy away. What are more voiceless, more vulnerable in our society than the forests and the animals? Environmental journalism allows me to speak for the overlooked among us. Do you have any tips for aspiring journalists? My main piece of advice is don’t wait for a green light. Nobody is going to tell you to go and write the story you want to. It’s up to you to go out and write or investigate the stories that you’re interested in. Can you tell me a bit about what people can expect in your upcoming workshop? The workshop has an environmental focus, although we will also look at journalism more generally. Unfortunately there is limited interest in environmental writing amongst the general public. During the workshop we will look at ways to touch the hearts of readers and spark interest and debate by learning how to focus on anecdotal evidence rather than over-burdening readers with statistics. We will also learn about the research process and interview techniques. Can you tell me about your journalistic writing process? I start with opening hundreds of word documents, each for a different area of the research process. I spend a lot of time researching, and it often leads me to discover new angles to view the story and from these angles, different questions to ask. I love pulling apart stories that have been told over and over to figure out the missing details and angles that have not been uncovered. For me, I feel I’m able to begin writing the piece when I become an equal partner in conversations with my interviewees. What keeps you going on bad writing days? On slow writing days I think it’s important to walk away from the work for a while. I go for a walk or a swim or a jog, or even do some more research. It’s good to remember that bad days are inevitably followed by good days, even if this might be hard to acknowledge in the moment. Do you think there is hope for the world’s climate? I think the climate crisis is an issue of perspective. Up close, the situation seems despairing, with politicians going around in circles of dispute and policy blaming. Step back however, and you can see that on a world scale there is much hope to be found. China and India for example have made impressive progress in terms of new renewable energy schemes.